One of the downsides to being self employed is when you come to get a mortgage. For someone who is employed, it’s generally easy to get a decision in principle and proof of income is often a matter of producing past payslips. When you are self employed (whether as a sole trader or a limited company) the lenders are often much more cautious. You can’t always get a decision in principle over the phone and when it comes to proof of income, what is required can vary widely, particularly for limited company directors. The variation in what is required for proof of income means that your income level can vary depending on what the mortgage lenders are looking at. You may have worked out what you can afford, but your mortgage lender may use a different calculation and this can be frustrating. Different lenders will take a different number of past years into account which may be beneficial or detrimental to your figures. The SA302 is the tax calculation from your self assessment tax return. It shows how much personal income you declared during a particular tax year (6 April to 5 April). It relates to your personal tax return, not your limited company tax return. 1. Accountant version – if your accounts are filed by your accountant then more than likely they will be able to generate an SA302 from their tax software. 2. HMRC filing version – if you or your accountant file the self assessment using HMRC online, then you can log in to your HMRC online account and print your self assessment SA302. Paper version – if you sent your SA302 by post or can’t access your online account then you can contact HMRC and get a paper version but this process takes up to 2 weeks which is often not ideal in the house buying process. Who is the SA302 good for? Sole traders – the SA302 is used as the main method to prove income for sole traders. This is because the business income is the same as their personal income so it should all be shown on the SA302. The business year is generally the same as the tax year so there are no significant timing differences, particularly if the self assessment return is submitted immediately after the tax year end. Who is the SA302 bad for? Company directors taking a small salary – a very common way for a sole director, sole shareholder to take profit from the limited company is to take a small salary (up to the NIC threshold) and then a larger dividend. Some mortgage lenders will only lend based on salary and won’t take the dividends into account even though these are the larger part of the income. Company directors with a year end timing difference – Sometimes the timing difference between the company year end and the self assessment tax year mean that the SA302 can significantly behind in terms of the dividend income that is shows. If a company year end is 30 April then for the 2014-15 tax return the final dividends included would be for the year to 30 April 2014. Imagine if you were trying to get a mortgage in January 2016. It is too early for the 2015-16 tax return so all you have available as proof of income is the 2014-15 return showing the dividends from almost two years ago. The company may have grown significantly since that point but there is no way of proving that income with the SA302. Company directors with retained income – If you have chosen to keep profit within the company rather than distribute it as dividends then the SA302 won’t accurately represent your available income. Some lenders will look at overall company profit figures for sole director, sole shareholder type companies (or where both mortgage applicants are the shareholders) on the grounds that as the only shareholders the profit effectively counts as income even if it hasn’t yet been distributed. However this usually requires an accountant’s certificate as evidence. Sole traders with low taxable income figures – If you have been trying to reduce the tax due by claiming all the expenses and capital allowances that you are allowed, then the knock on effect may be that your income from the SA302 may not accurately reflect what you have been able to take from the company via drawings. You might feel that you have more income then your SA302 actually shows. Sole traders with losses brought forward – If you are self employed and have previous year losses they are automatically used up against the next year’s profit. The SA302 shows the final taxable income, not the profit for the year. If you made a good profit but used previous year losses against all of it, the SA302 will show income as zero. This is a new(ish) development to be used in conjunction with the SA302, ideally to make the mortgage process easier. The Tax year overview confirms the tax due from the self assessment return submitted to HMRC and shows any payments made, cross referencing with the Tax Calculation (SA302). Like the SA302 relates to your personal tax return, not your limited company tax return. You can obtain your tax year overview by logging into your HMRC online account. Follow the link ‘print your Tax Year Overview’. If you are a director of a limited company you may be asked to provide past limited company accounts as part of the proof of income. Generally these are the accounts that have already been submitted to Companies House, although you will probably provide the full version, rather than the Companies House abbreviated version. Very occasionally, if the business hasn’t been going long or there has been significant growth or change since the last submitted year end, you may be asked to provide part-year figures. However since these are not “official” yet they will carry less weight. This is where we most often get involved. Many mortgage lenders will ask for an accountant to fill in their specific form which certifies the client’s income. They are most often used for company directors and serve to “prove” the company accounts or other information provided. 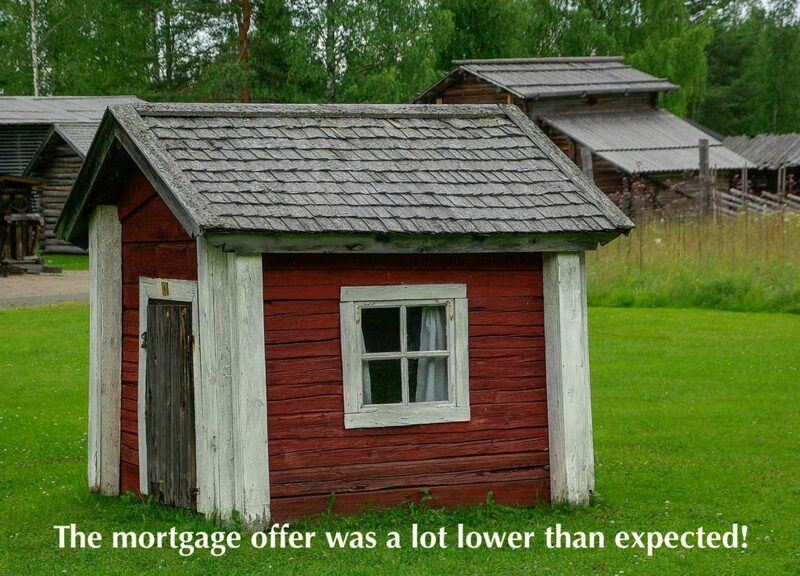 There is also variation in the number of years worth of information that lenders ask for. Issues or delays can arise when the information on the accountant’s certificate conflicts with the information in the mortgage application because slightly different criteria or dates have been applied. When the mortgage application is completed it is not always clear what the income figure should be based on as there are so many potential variations. Accountant’s certificate tends to be used when the SA302 and tax overview information is not really representative of the income, in particular when there is a large element of dividend income and there are timing differences or if profit has been retained within a limited company rather than taken out as dividends. Although HMRC and the Council of Mortgage Lenders have been attempting to simplify the mortgage application process for self employed it is still a bit of a minefield. Despite their efforts there is still no consensus on what lenders will ask for. Depending on your particular circumstances some combinations will be more advantageous for you than others. As accountants we do get asked by our clients to provide many different combinations of information depending on the different lenders. The main thing is to have a flexible attitude as you may not get that great mortgage rate you’ve set your heart on if the lender’s requirements aren’t compatible with your particular income circumstances. In addition, the decisions that are made to reduce the tax due often work against you when you come to apply for a mortgage. This is one area of your life-business overlap where forward planning is really, really important. If you think that you might want to apply for a mortgage in the next few years it is definitely something to discuss with your accountant before your accounts and tax return are submitted as it may make a difference to how certain items are treated.